Riverman sheet music arrangements are below. 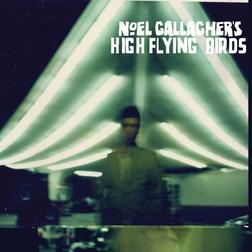 Noel Gallagher is the composer of Riverman. To view a specific sheet music arrangement of Riverman please click the preview icon further down for the specific score that you are interested in. By clicking on the drop-down menu called "All Instruments" you can adjust to only view the arrangements for one specific instrument. Have you recently purchased a piece of sheet music that your really enjoyed playing? In that case you may want to share your thoughts on this piece of music with others. Do this by clicking on the tab called Comments (next to the one called Sheet Music), and once you have decided on a user name (that is visible to other users), you may post your musical opinions on our site. Are you can avid user of social media such as Linkedin, Twitter, Facebook or Digg? Then you can share this song page on your appropriate social media account, by simply clicking on the share button. You currently have the choice of 2 arrangements for Riverman. Within that number of scores there is currently a choice of 1 instrument.